Private investor appetite for gold shows little sign of abating with one private bullion dealer reporting holdings of physical gold jumping more than 40% in the first half of 2009 alone. The reason? Deep scepticism that the quantitative easing measures are not producing a self sustaining recovery and will, in the end, lead to massive inflation. Despite this spot gold prices actually finished lower yesterday for a variety of reasons: first July is traditionally a very quiet month for gold trading. Second some profit taking ahead of the 4th of July celebrations. Third a reaction to a rebound in the US Dollar following worse than expected NFP data which confirmed that the labour market is still under severe pressure and unlikely to trouble the economy with any serious inflation. As a consequence spot gold prices ended the day $9.26 down to finish at $931.49 per ounce. Technically the price of gold has managed to hold above last month’s low by considerable distance, so despite yesterday’s down-bar and weak fundamentals the longer term picture still looks favourable with gold prices holding well above both the 9 and 14 month moving averages. 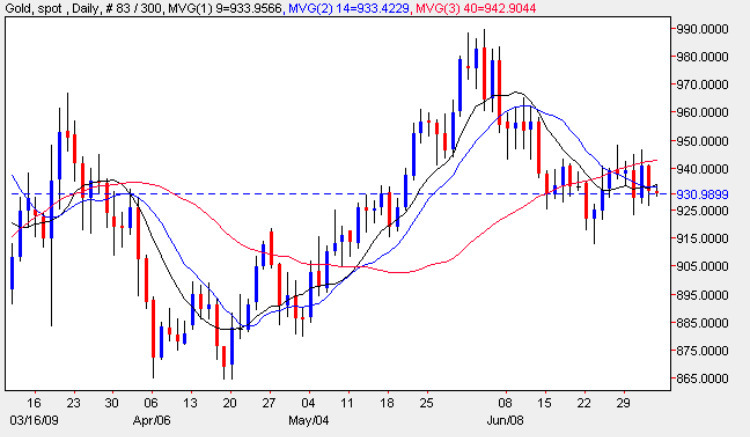 To return to the daily gold chart whilst yesterday’s down bar came as no great surprise following the release of the NFP data it is encouraging to note for gold bulls that the close of the day found support from the 9 and 40 day moving averages and failed to fall as far as might have been expected. With the moving averages now bunching and the market closed today it is unlikely we will see anything other than a sideways day and we must now wait until early next week for a clue as to the short direction for gold. Only a break and hold above the strong resistance now in place in the $940 per ounce region can be considered a positive signal whilst the $920 to $925 support level is key to preventing a deeper fall. Have a great weekend and a Happy 4th of July. 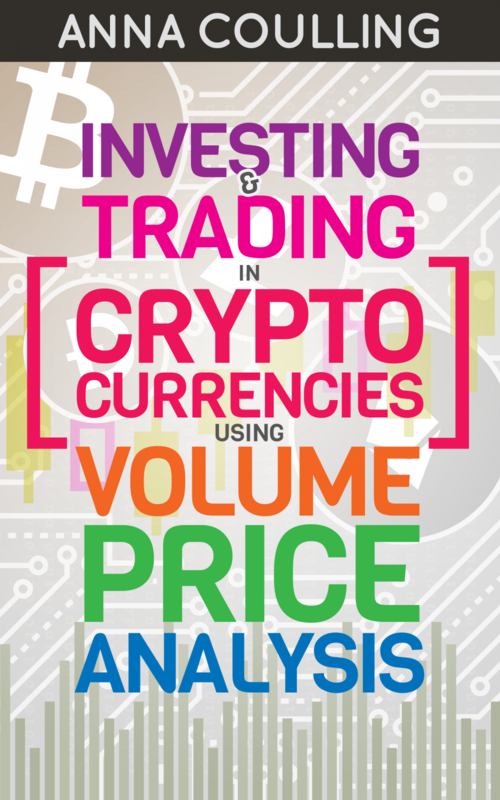 The short and medium terms are medium while the long term is bullish.